The Presidential Award for Outstanding Department Head is presented each year to a department head who is proactive, positive, fair and equitable, and who cooperates with units across the university. Karin Westman, department head of English. Westman is known for spending time and effort that many people would not expect from a department head to serve, assist and listen to students, faculty and administrators. She assists department members in large ways, such as furthering their career aspirations, and in small ways, such as working with facilities staff to handle maintenance issues. Westman puts others first, helping faculty, staff, students and fellow administrators figure out how to achieve their goals. She has ensured the recruitment and retention of excellent faculty and increased the number of women and underrepresented faculty at all ranks. During her headship, she has served as a major professor for 15 graduate students, written books and award-winning articles, taught graduate and undergraduate classes, presented at conferences, and co-edited a peer-reviewed journal. Academic advisors are an important part of the university team. The Presidential Award for Excellence in Undergraduate Advising showcases an advisor who is dedicated to providing quality advising to undergraduates. Tami Duch, advisor in the College of Arts and Sciences. Duch has enjoyed advising students, listening to their stories and helping them discover who they are for 10 years. As an open-option program advisor, she sees her role as a connector between the university and K-State students who do not belong to a department. She creates conversations that engage students in helping them find their place at K-State and determine their path for the future. 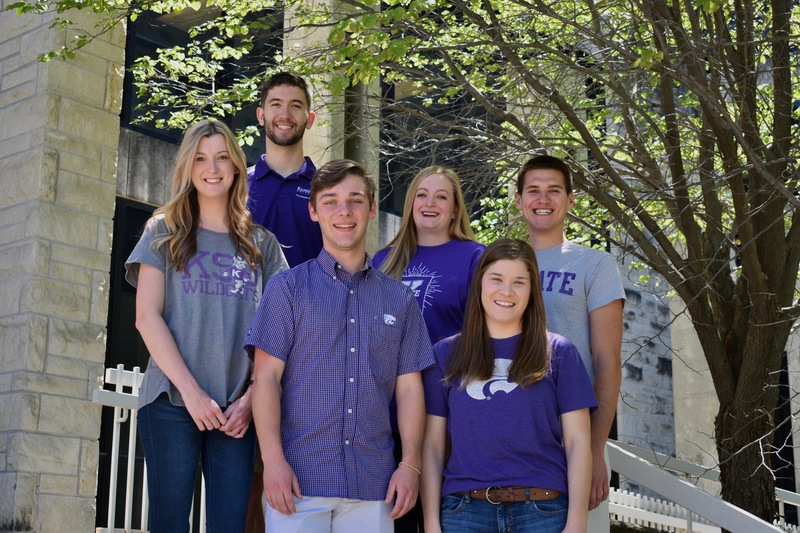 Duch is a member of the Transfer Advising Subcommittee, the Majors Minors and More Event Committee, and the K-State Advisor Forum. She has presented at several state and national conferences of NACADA: The Global Community for Academic Advising. Duch is the fifth Arts and Sciences college-level advisor to win this award since 1999. 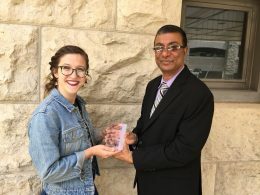 The University Distinguished Faculty Award for Mentoring Undergraduate Students in Research recognizes a faculty member who has contributed to the development of undergraduates in research in the previous year. Ted Morgan, associate professor of biology. Morgan mentored four undergraduate students on independent research topics in his lab, the Morgan Laboratory. The lab uses an integrative approach to determine the mechanistic basis of complex adaptations in natural populations. The lab’s research component currently focuses on identifying and studying the genetic networks that underlie adaptations, determining what evolutionary processes have influenced these genetic networks, and determining how these networks influence phenotypic variation in natural populations. The four students Morgan mentored directly contributed to this work at a level high enough to be included as co-authors on upcoming peer-reviewed papers. In addition to his work with students in the lab, Morgan also served as the program director for the National Science Foundation-funded biological sciences Research Experience for Undergraduates, or REU, site at K-State for six years. 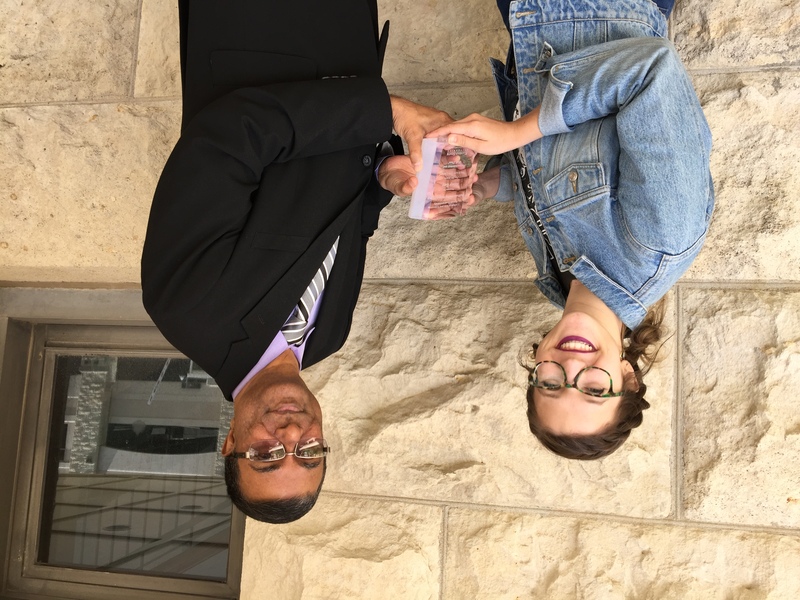 The University Award for Distinguished Undergraduate Student in Research was originally established by the Developing Scholars Program to recognize outstanding individual contributions in research for the purpose of discovery and creation of new knowledge at Kansas State University. The award is for an undergraduate student who has demonstrated excellence in the research in any field. Navanté Peacock, senior in psychology and anthropology. Active in undergraduate research since his freshman year at K-State, Peacock won the 2017 Society for Personality and Social Psychology Undergraduate Poster Award at the society’s annual conference in San Antonio for research he conducted with Don Saucier, associate professor of psychological sciences, and Saucier’s lab. Peacock’s poster, “Paved with Good Intentions: Perceptions of Racial Microaggressions,” examined how third-party observers perceive racial microaggressions as harmful, intentional and racist. Peacock also received a Society for Personality and Social Psychology Diversity Fund Undergraduate Registration Award. A member of the Developing Scholars Program and an Edgerley-Franklin Urban Leadership scholar, he is the recipient of a Student Research Travel Award from the College of Arts and Sciences; an Undergraduate Research Award from the Office of Undergraduate Research & Creative Inquiry, where he also has served as a student ambassador; and a Doreen Shanteau Undergraduate Research Award from the psychological sciences department at K-State. He is a member of Psi Chi, the international honor society in psychology. Vaithish Velazhahan, junior in microbiology, biochemistry and pre-medicine, is a 2017 Goldwater scholar. Molly Bassette, junior in biology and biochemistry, received an honorable mention in the Goldwater Scholarship competition. Kyle Apley, junior in chemistry, received an honorable mention in the Goldwater Scholarship competition. Kathlyn Tan Gomendoza, junior in biology, received an honorable mention in the Goldwater Scholarship competition. 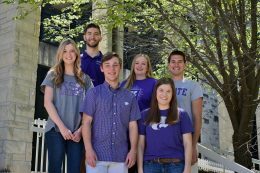 Four current K-State ArtSci students are among the National Science Foundation’s 2017 Graduate Research Fellows and honorable mentions. Fellows receive a three-year appointment, which includes a $34,000 annual stipend and $12,000 for tuition and fees. Samantha Sharpe, doctoral student in biology, received an honorable mention. Miranda Klugesherz, master’s student in communication studies, will travel from the heartland to Ireland to prepare for a career in policy research and advocacy for solutions to poverty. Klugesherz will study how Ireland’s history, including the Irish Potato Famine, has shaped its national discussion on hunger and welfare. For spring 2017, K-State awarded a total $72,878 in the form of Faculty Development Awards and University Small Research Grants. Faculty Development Awards support travel expenses to present research, scholarly or creative work or a performance at an international meeting or to visit an external funder or sponsor. University Small Research Grants are seed grants to support small research projects, scholarly activity and other creative efforts. Both programs are meant to catalyze a faculty member’s Research, Scholarly and Creative Activities and Discovery (RSCAD) career success. In the spring 2017 round, 29 Faculty Development Award proposals were submitted. Of the 12 accepted proposals, 11 were submit by ArtSci faculty. University Small Research Grants proposals numbered 28, with 9 of 13 total accepted proposals coming from the college. Click here to see a full list of awardees and their proposal research topics. Assistant Professor Isabel Millán completed her first year of service to the National Association of Chicana and Chicano Studies as Chicana Caucus co-chair along with Yvette Saavedra, assistant professor of history at California State University, San Bernardino. 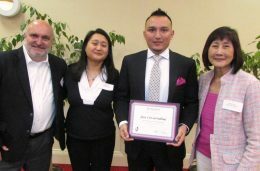 This year’s conference theme was “Chicana/o Studies in an Era of Globalization, War, and Mass Expulsions” and took place in Irvine, California from March 22-25. Read more about Millán’s service here. In this interdisciplinary paper, Petillo explores the ways that policymaking processes are co-opted for violent means in the name of the public good. Naming such legislative practices as a form of “policy violence,” she uses recent anti-trans bathroom initiatives as well as the political responses to Black Lives Matter protests and Standing Rock water protectors as case studies. Petillo questions how hate policy implicitly shapes what is considered acceptable gender expression as well as tolerable ethnic anger and grief. In doing so, Petillo also directly addresses scholars’ responsibilities as public intellectuals to investigate and encourage conversation around the structural similarities that eventually produce more direct forms of social, cultural and physical violence. Douglas N. Dow, associate professor of art history, published an article in “Space, Place, and Motion: Locating Confraternities in the Late Medieval and Early Modern City,” an anthology edited by Diana Bullen Presciutti (University of Essex) and published by Brill (Leiden). Dow’s essay, “An Altarpiece, a Bookseller, and a Confraternity: Giovanbattista Mossi’s Flagellation of Christ and the Compagnia di San Giovanni battista detta dello Scalzo, Florence,” situates an act of collaborative art patronage within the devotional and corporate structures of a late sixteenth-century Florentine lay religious group. In particular, Dow demonstrates how art patronage was only one element in a complex web of relationships that bound individual members to each other and to the confraternity. Dow shows how corporate identity was forged and maintained through the complex interplay of testamentary bequests, administrative oversight of the organization, charitable corporate giving, real estate ownership and rental, as well as professional bonds between members—all of which played some role in the commission for Giovanbattista Mossi’s Flagellation of Christ (1591). Dow also presented a paper, “Facts and Fictions: The Biography of Bernardino Poccetti in Baldinucci’s Notizie de’ professori del disegno,” at the 63rd Annual Meeting of the Renaissance Society of America in Chicago (March 30 to April 1), an international interdisciplinary conference devoted to the study of the Renaissance. 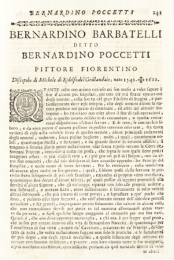 Dow’s paper, part of his ongoing research for a book on Bernardino Barbatelli (called Poccetti), analyzed the biography of the late sixteenth-century painter that was published by Filippo Baldinucci in 1688. Although a valuable source of information about the painter, Baldinucci’s text has never been translated into English and has escaped significant scholarly scrutiny. 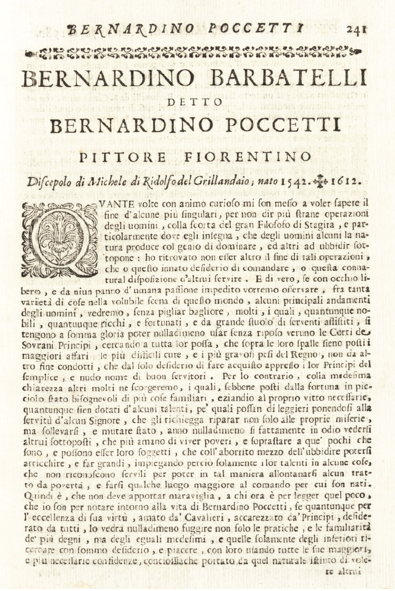 Dow’s paper showed that Baldinucci’s treatment of Poccetti’s childhood and early training is heavily indebted to themes found in Giorgio Vasari’s biographies of Giotto and Michelangelo. Dow went on to suggest that Baldinucci emphasized these tropes to celebrate a Florentine artistic tradition that had experienced an erosion of its status over the course of the seventeenth century. All undergraduate Biochemistry and Molecular Biophysics majors who applied to the 2021 Class of the University Of Kansas School of Medicine were accepted. Matthew Brettmann and Natalie Ost were accepted through the Early Decision program, which is an early application for top Kansas students who are committed to only attending KU Med and no other medical schools. Mackenzie Wahl was accepted through the Scholars in Rural Health program, which is a pre-admission program offered to students from rural areas in Kansas. Samuel Broll, Tate Gilchrist, and Garrison Olds were accepted through the traditional medical school application process. Al l six of these seniors participated in the Medical Biochemistry track, which the department established in 2013. This curriculum allows biochemistry students who desire a career in medicine or other health-related fields to both prepare for entrance exams and focus their classroom study on subject matter that will comprise their first year of medical, veterinary, or nursing school. Admissions committees now focus more on applicants with a firm grasp of the molecular underpinnings of human and animal health. Therefore, the Medical Biochemistry curricula contain more intensive foundations for molecular medicine than other majors, with requirements including Medical Biochemistry, Immunology, and a full year of graduate level Biochemistry. In this way, the Medical Biochemistry curricula sets its students apart from others in the applicant pool. Kimathi Choma, assistant dean for diversity, recruitment and retention in the College of Arts and Sciences, and Tosha Sampson-Choma, assistant professor of English, were recently presented with a Distinguished Alumni Achievement Award from their alma mater, Messiah College. 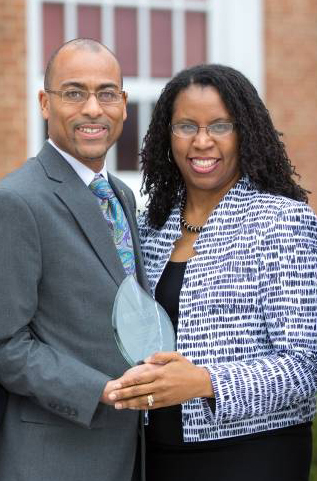 The Distinguished Alumni Achievement Award recognizes a lifetime of vocational achievement in a manner that embodies the mission of Messiah College, including modeling faithful Christian leadership in all endeavors. Choma received his Bachelor of Science in biology with a pre-veterinary designation from Messiah, and Sampson-Choma received her Bachelor of Arts in English. Both have since acquired multiple graduate degrees.Messiah College is a nationally ranked, private Christian college located in Mechanicsburg, Pennsylvania. Assistant Professor of Economics Zheng Fang published “Efficient semiparametric estimation for Gini inequality treatment effects” in Economics Papers, a scholarly peer-reviewed journal of economics that publishes concise communications of new results, models and methods in all fields of economic research. The contest, which is open to all K-State students, received a record 82 submissions this year from students in the Colleges of Agriculture; Architecture, Planning & Design; Arts and Sciences; Business Administration; Education; Engineering; and Human Ecology. The Sullivan Poetry Award, now in its fourth year, is supported through a gift by an alumnus who, while not a formal writer himself, enjoys writing poetry and supporting the creative accomplishments of students. Phil Nel, University Distinguished Professor, has been nominated for an Eisner Award for his editing of “Barnaby Vol. 3” in the category of “Best Archival Collection/Project ­Strips.” Named for acclaimed comics creator Will Eisner, the awards are celebrating their 29th year of highlighting the best publications and creators in comics and graphic novels. Professor of Geography John A. Harrington, Jr. received a lifetime achievement award from the Climate Specialty group at the American Association of Geographers annual meeting on April 6 in Boston. 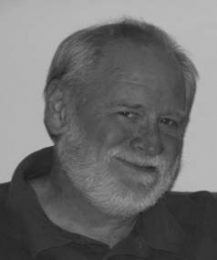 Throughout his career, Harrington has researched topics related to climatology, with an emphasis on understanding major weather and climatic events. Harrington’s professional work has also emphasized community engagement through his interaction with K-12 teachers and students in Kansas. He has coordinated the Kansas Geographic Alliance since 2007. In accepting the award in Boston, Dr. Harrington reflected on his hopes of leaving the world a better place through his efforts. 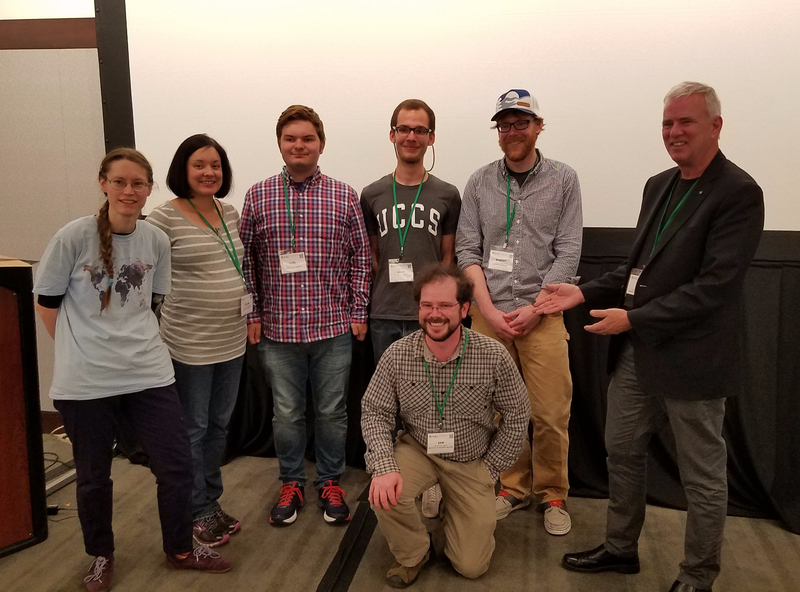 Karl Bauer, master’s student, was a member of a team of geography students from the Great Plains/Rocky Mountain region of the American Association of Geographers (AAG) that won the 2017 World Geobowl competition at the recent AAG annual meeting in Boston. The competition tests student knowledge of geographic concepts. Bauer, third from left], is pictured with other team members and AAG President Dr. Glen MacDonald as they are honored for their victory. The Petroleum Geology research group in the Department of Geology welcomes Dr. Bin Li, a visiting scholar from Southwestern Petroleum University in China. 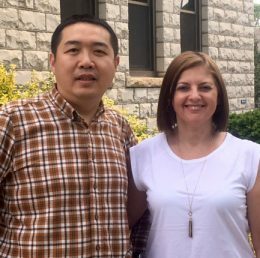 Li, whose work is funded by the China Scholarship Council, will be working with Dr. Karin Goldberg for the next 12 months. Goldberg and Li will focus on understanding the formation of deep, Cambrian carbonate reservoirs in the Tarim Basin, a major petroleum basin in China. Their research aims to better understand the processes that control formation of these high quality reservoirs and to develop geological models that can guide exploration and optimize production in the Tarim Basin. Doctoral candidate Kate Tietzen received the 2017 Adams-Collins Dissertation Grant from the John A. Adams Center for Military History & Strategic Analysis at the Virginia Military Institute. The annual grant supports a doctoral candidate working on a Cold War history project of exceptional merit. Tietzen’s dissertation on Iraqi-Soviet military and foreign relations “addresses an important gap in the existing Cold War literature—and promises to deepen our understanding of the past, present, and future of the Middle East,” said Dr. Bradley Lynn Coleman, director of the Adams Center. The $3,000.00 grant will support her work at the Hoover Institution, Stanford University, during the summer of 2017. The Adams Center is a specialized element of the Virginia Military Institute focused on Cold War military history and the connections between the Cold War and contemporary national security affairs. The center promotes innovative scholarship on Cold War topics through initiatives such as the Adams-Collins Dissertation Grant. Forty-six Cancer Research Award recipients were recognized, along with the donors who make the program possible, at the center’s annual Cancer Research Award Banquet on April 21. The program offers faculty-mentored research experiences and $1,000 awards for up to 50 undergraduate students per year, plus $1,000 per student to cover research expenses. This year’s recipients are listed on the Johnson Cancer Research Center’s Student Awardees webpage and in this news release. Photos of the banquet and each student receiving their award have been shared in an album on Facebook. Pictured: Cancer Research Awardee Jose Covarrubias, senior in biochemistry, with his faculty mentor Dr. Stefan Bossmann, chemistry, and donor Sarah Young (far right) and her daughter Julia Tung. Sarah gave in memory of her son Alexander Tung. Two professors of Spanish Literature in the Modern Languages Department were invited to to give guest lectures during the month of April. Rebecca Bender presented a guest lecture and guided seminar discussion titled “Gender, Modernity, and Urban Geographies in Carmen de Burgos’s Madrid” for a three-hour graduate seminar, La ciudad como texto: Historia, teoría y crítica de espacios urbanos (The City as Text: History, Theory, and Criticis of Urban Spaces) at Pennsylvania State University on April 14. Laura Kanost was invited by the University of Kansas Hall Center for the Humanities Disability Studies Seminar to give a lecture titled “Images of Paralysis, Mobility, and the Intellectual in Early 20th-century Latin America: En una silla de ruedas and Poemas de la inmovilidad” on April 29. 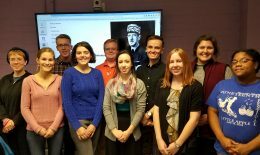 French students shared their research with donors and the campus community through a dedicated display of their work at Hale Library, in addition to a thank-you reception for donors Alan Greer and Patricia Seitz. This research stems from a fall 2016 seminar taught by Drs. Kathleen Antonioli and Melinda Cro titled “Translating the Freedom Papers: Charles de Gaulle and WWII Correspondence.” Students in this course undertook the task of translating and annotating the French-language letters in the Freedom Papers archive. This multi-step interdisciplinary project combined detailed research into the historical context of the letters with archival work and translation techniques and included a visit to the Eisenhower Presidential Library to gain a better understanding of archival work. 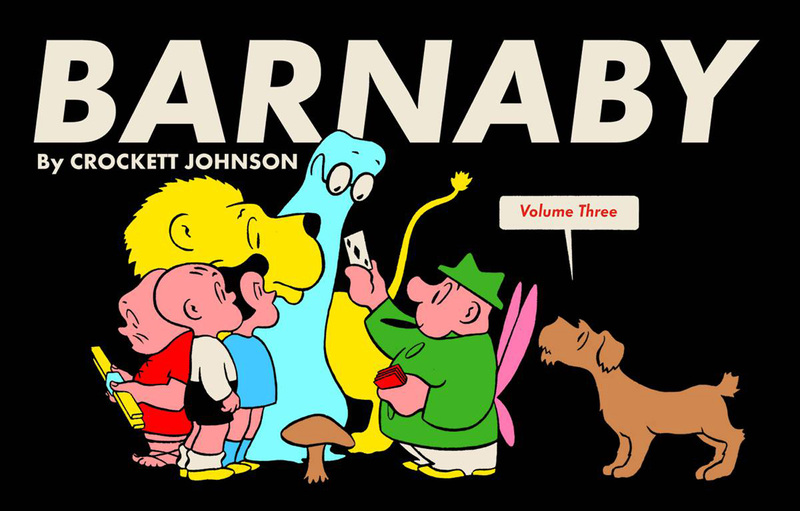 The goal was to make this collection accessible to an English-speaking audience. Students offered an accurate and full historical context for the letter in the form of a robust introductory paragraph and extensive footnotes throughout. Additionally, they translated the letter itself from French to English. During the reception on April 12, Katherine Boulanger (BA, Modern Languages, French and Theater) and Patrick Riggin (MA, French) presented their prepared translations and discussed the challenges of such an endeavor as well as the historical context and stylistic tendencies of the writers. 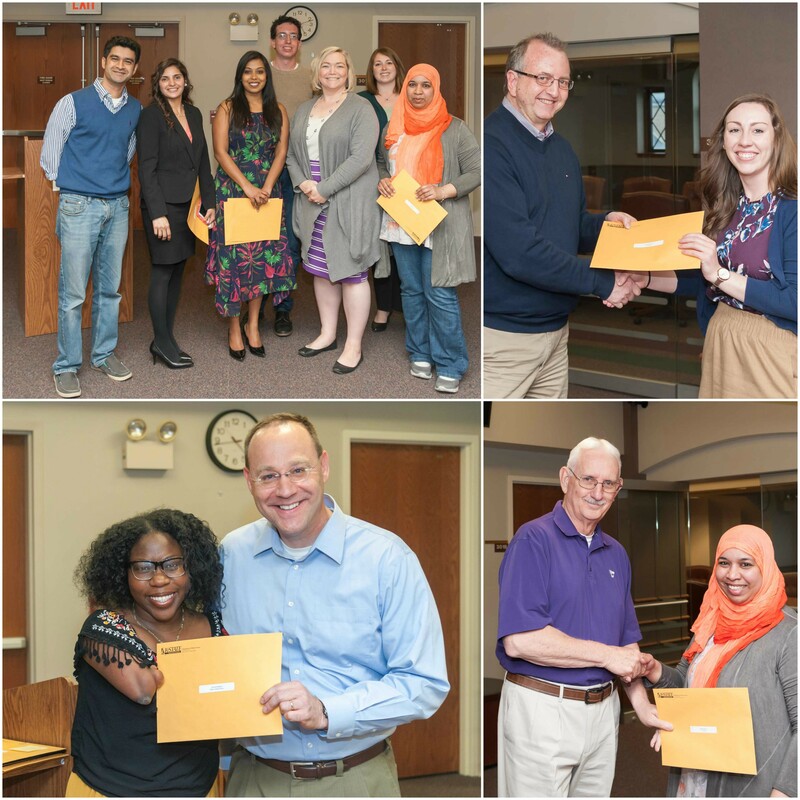 The department held its annual recognition reception on April 21 on the third floor of Calvin Hall. Family members, guests, donors, and faculty members attended the event and supported scholarship recipients, honorary society members, and graduate teaching assistants in celebrating their academic success. The department awarded $17,450 in scholarship funds to undergraduate students and $3,700 in scholarship funds to graduate students. Pictured, political science graduate assistants and scholarship winners. 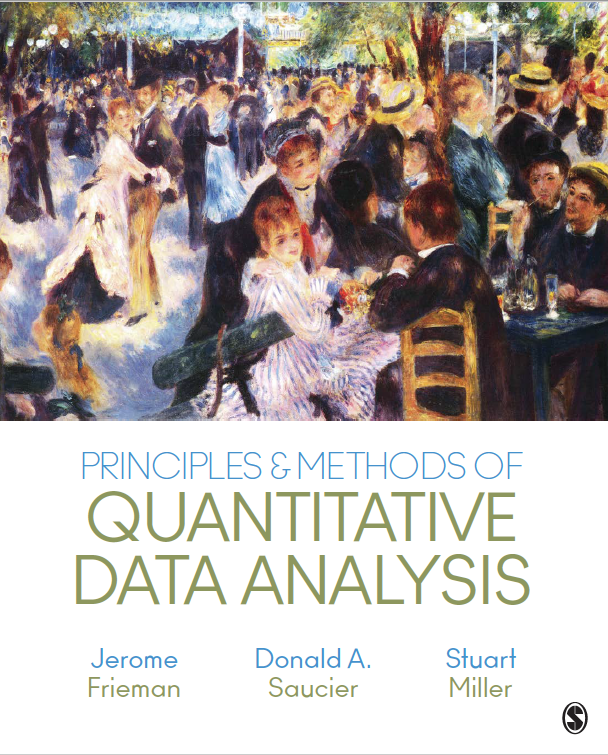 Jerry Frieman, Donald Saucier, and Stuart Miller recently published a textbook titled “Principles & Methods Statistical Analysis” with SAGE Publications. This intermediate level text uses real research on antisocial behaviors, such as cyberbullying, stereotyping, prejudice, and discrimination, to help readers across the social and behavioral sciences understand the underlying theory behind the data analytic methods they use. By presenting examples and principles of statistics within the context of these timely issues, the authors show how these methods can be used to answer research questions. New techniques for data analysis and a wide range of topics are covered, including how to deal with “messy data” and the importance of engaging in exploratory data analysis. Doctoral candidate Joseph Jakubek and Associate Professor of Sociology Spencer D. Wood co-published the article “Emancipatory Empiricism: The Rural Sociology of W.E.B. Du Bois” in the journal Sociology of Race and Ethnicity. The rticle is available online until the journal issue is released next fall. In this article, Jakubek and Wood establish W.E.B. Du Bois as a founder of the field of Rural Sociology by summarizing and analyzing some of his early rural work. They use the term emancipatory empiricism to describe his utilization of evidence to correct and challenge misperceptions of Black agrarian life. In this early work, Du Bois demonstrates his methodological mastery, much of which is typically attributed to his more familiar urban studies. This research is important because it uncovers how race was at the center of early American sociology and that Du Bois is central, though under-studied. Du Bois’ agrarian studies predate the most recognized founders of the field of rural sociology by nearly 20 years and are only infrequently recognized and seldom thoroughly engaged. This oversight has contributed to the making of rural sociology as a field that insufficiently considers the significance of race in the development of rural spaces. Assistant Professor of Social Work Lorenza Lockett was the keynote speaker at the Light of Hope awards banquet sponsored by Sunflower CASA Project, Inc. The purpose of this event is to recognize and thank supporters, donors, and CASA (Court Appointed Special Advocates) volunteers who advocate for children in the 2nd and 3rd Judicial Districts in Kansas. Approximately 120 people attended the banquet on April 24. The Department of Statistics was recently awarded a $5000 grant from Shell United States. The grant will fund a student scholarship and two workshops in applied statistics that will be delivered to researchers across campus at K-State. The first workshop will be delivered by Trevor Hefley on the subject of Spatial Data Analysis. This workshop will include an introduction to the open-source statistical software R. In addition, attendees will learn basic spatial data skills. The second workshop will be delivered by Nora Bello on Mixed Models for Agricultural and Biological Research. This workshop will provide a fairly comprehensive exposition of mixed-model based statistical data analysis, power determination and sample size calculation for commonly used experimental designs in the agricultural and biological sciences. The approach will be workshop-like, example-driven and primarily based on the various mixed model analysis procedures available in SAS software. General and generalized mixed models for normal and non-normal responses will be discussed in the context of structured data from designed experiments and observational studies. Registration for both workshops filled up in less than two days following the announcement. Most attendees are affiliated with the College of Agriculture and/or Kansas State Research and Extension (KSRE).